Yes, when it started, it was meant for Atiku to succeed Obasanjo. In the presence of these distinguished leaders of goodwill today, let me say it openly that we have reviewed what went wrong on the side of Atiku. And in all honesty, my former Vice-President has re-discovered and re-positioned himself. As I have repeatedly said, it is not so much what you did against me that was the issue but what you did against the Party, the Government and the country. Whenever or wherever you might have offended me, as a Christian who asks for God’s forgiveness of my sins and inadequacies on daily basis, I forgive and I sincerely advise you to learn from the past and do what is right and it will be well with you. Obviously, you have mended fences with the Party and fully reconciled with the Party. That’s why today, you are the Presidential Candidate of the Party. In addition to appreciating all that the Party has done for you, may I advise you to work together with all those who contested for the Party’s flag with you as a team for your campaign. I am sure with the right attitude for change where necessary, and by putting lessons learned by you to work, you will get the understanding, cooperation, support and mandate – all at the national level. With Nigerians voting for you, it will mean that you secure their forgiveness and regain their confidence. It will be with the hope or assurance of a Paul on the road to Damascus Conversion. After all, change and conversion are of man. I believe that with a contrite heart, change is possible in everybody’s life and situation. As you know, along the road to where you are today, many leaders and ordinary people cooperated and overtly and covertly worked hard. On your behalf, I thank them all. May their coast continue to be expanded. And when you become Nigerian President which, insha-Allah, you will be, remember what we did together in government – we ran an administration by Nigerians for all Nigerians where merit and performance count more than blood relationship, friendship or kith and kin. Although some time and ground have been lost, you should endeavour to start from where we stopped and recover some lost ground, if not time. Please uphold truth, integrity, principles, morality and fight corruption, crimes and insurgency. The fundamental law of the land, our constitution must be scrupulously defended. I make one demand and one demand on you today, I need you to say before God and man that you will always remain irrevocably committed to upholding ALL the provisions of the Constitution of the Federal Republic of Nigeria and the whole country will remain your single indivisible constituency. Once again, congratulations and I wish you well. My distinguished brothers and leaders of goodwill, thank you for making this happen. 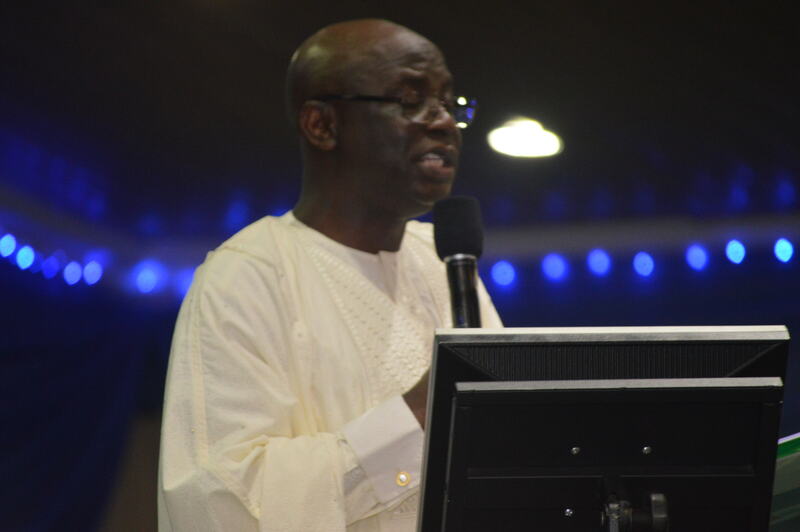 I will now count on you to encourage all hands to be on the deck to take Nigeria to the level God has created it to be – autopilot level. ON SUNDAY THE 16TH OF NOVEMBER, 2014. … Indeed, every nation is born in the bosom of founding fathers – men and women who take responsibility for the birthing of the nation and the establishment of the framework of state; patriots who facilitate the emergence of a national culture; political and socio-economic craftsmen who engineer the national structure including the nation’s geopolitical and economic structures; nation-builders who spearhead the building of national institutions; wise men and women who guide the evolution of a national system of laws; and statesmen who set a precedent as far as national leadership is concerned. These founding fathers become the progenitors of the subsequent generation of fathers who are the custodians of the foundational pillars established by the founding fathers. This legacy of fatherhood of the nation is then bequeathed to each succeeding generation so that the national dream, the ideal to which that nation aspires, is preserved from one generation to another. Nigeria and some other countries will no longer be eligible to participate in the America Diversity Visa lottery programme. The department said Nigeria was excluded since over 50,000 Nigerians had immigrated into the United States in the last five years. The department listed other countries not eligible as Bangladesh, Brazil, Canada, China (mainland-born), Colombia, Dominican Republic, Ecuador, El Salvador and Haiti. However, many African countries would continue to enjoy the programme. Some of them are Algeria, Angola, Benin, Botswana, Burkina Faso, Burundi, Cameroon, Cape Verde, Central African Republic, Chad, Comoros, Congo, Cote D’Ivoire (Ivory Coast), Djibouti, Egypt, Equatorial Guinea, Eritrea, Ethiopia, Gabon, Gambia and Ghana. Others are Guinea, Guinea-Bissau, Kenya, Lesotho, Liberia, Libya, Madagascar, Malawi, Mali, Mauritania, Mauritius, Morocco, Mozambique, Namibia, Niger, Rwanda, Sao Tome and Principe, Senegal, Seychelles and Sierra Leone. Diversity visas are said to be distributed among six geographic regions, while no single country could receive more than seven per cent of the available space in any year. Already, advertsiements for the 2015 US DV lottery have started with several businesses inviting Nigerians to apply for the program. 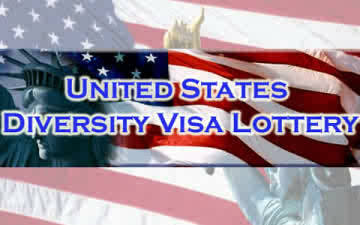 Applications for the 2015 US DV lottery is expected to take off from October 1, 2013. In 2012, 14,769, 658 persons were said to have qualified worldwide for the US DV lottery among the 19, 672, 269 which applied. 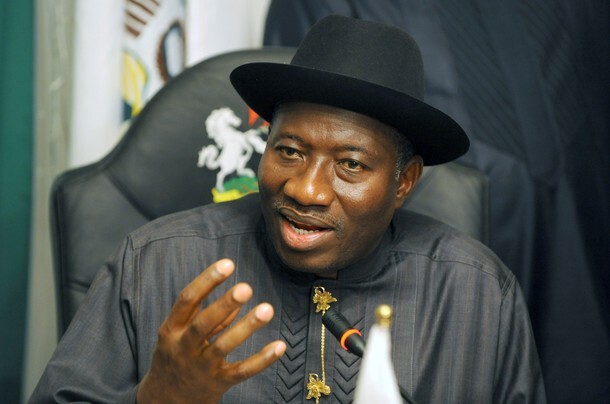 President Goodluck Jonathan will take a group of state governors and key ministers to China this week, seeking to strengthen ties with the Asian nation in everything from power production to bond buying. The leader of Africa’s biggest oil producer will hold talks with President Xi Jinping and officials from Huawei Technologies Co., ZTE Corp. (763), and China Petroleum & Chemical Corp. (386) during a five-day trip starting on Tuesday July 9, the Abuja-based presidency said in an e-mailed statement. Jonathan is travelling with a delegation of state governors, lawmakers, and 15 cabinet members including Finance Minister Ngozi Okonjo-Iweala, Trade and Investment Minister Olusegun Aganga, Petroleum Minister Diezani Alison-Madueke and Agriculture Minister Akinwunmi Adesina. Trade between Nigeria and China is projected to reach $10 billion by the end of the year from $2 billion in 2005, according to the Trade and Investment Ministry. Chinese companies and investors will attend a forum with Nigerian counterparts during the trip where “matchmaking” for potential partnerships will be made, Aganga, the trade minister, said in a separate interview on July 3. Agreements on defense, economic and technical cooperation, and visa exemption for holders of diplomatic and official passports will be made, according to the government. A $1.29 billion-loan deal for the construction of four airport terminals and a 700-megawatt hydropower station will be signed with the Export-Import Bank of China. Officials will also discuss “an agreement for the Central Bank of Nigeria to invest in China’s interbank bond market through the People’s Bank of China,” according to the statement from the presidency. China continues to increase its presence in Africa’s most populous nation of more than 160 million people, operating in industries including oil and gas and communications. Companies such as China Civil Engineering Construction Corp. and Sinohydro Corp. are helping to build hundreds of miles of double carriage railway lines, roads, airport terminals, and hydropower plants as Jonathan’s administration tries to improve infrastructure to spur business. The projects are partly financed with loans from China’s Exim Bank. “Our objective is to get them to increase trade, get them to increase investment in Nigeria, and get a strategic long-term relationship,” Okonjo-Iweala said. forthcoming FIFA Under-17 World Cup in the United Arab Emirates with the screening of new players in Abuja next week. out new talented players to augment the team that nearly won the 10th CAN Under-17 Championship in Morocco last March. expected to report to the NFF/FIFA GOAL Project Site in Abuja on Sunday even as Garba warns that this is not an all comer affairs. “It is important that we have a look at some new players for some specific positions because what we want is the best for the country,” said Garba, a Gold medal winner at the 2007 FIFA Under-17 World Cup in Korea. It would be recalled that Garba had promised to audit the Golde Eaglets in a post-mortem analysis of the African Championship after his wards were trumped 5-4 on penalties by Cote d’Ivoire following a pulsating 1-1 draw in the finale. the mandatory Magnetic Image Resonance (MRI) Test to ascertain if they are within the stipulated age bracket before the team’s close camping ahead of the World Cup in UAE between October 17 and November 8. Since the Super Eagles entered into Kaduna City last Thursday high profile officials of both the Federation and the state have been visiting the team to offer words of advise and encouragement. Among them, NFF Executive Committee member and Chairman of the Finance Committee, Hon Shehu Adamu, who was in all the team’s training sessions, Director Competitions, NFF, Dr Sanusi Mohammed and even the Kaduna State Sports Commissioner. Players were excited by the presence of these officials but their joy knew no bound when some of their own, Efe Ambrose of Scottish side, Celtics and Mike Eneramo, who plies his trade in the Turkish top flight visited to offer pump up the team’s morale ahead of Saturday’s game. First to visit was Ambrose who was in the team’s camp for the better part of Wednesday. The Delta born, Kaduna boy drove into the team’s African Continental Hotel few minutes to noon, stayed with the team and technical crew till evening training time and even joined the team at the Ahmadu Bello Stadium for the evening session. Midway into the session, he told officials he was leaving because he had to attend the evening service of his church. “I have spoken to the players, some of whom were my teammates and they know what to do. I will be in the stadium on Saturday to cheer them to victory”, Efe declared as he drove out of the stadium complex. On Friday by lunch time, Eneramo drove in to offer his support to his national teammates. Looking fit and trim, the Eagles striker waited patiently for the coaching crew led by Stephen Kweshi to come out of their rooms for obeisance, before he went straight to each players for felicitation and advise. “We can beat Cote D’Ivoire silly”, he quipped. Adding that with the caliber of players he has seen he was sure that Nigeria will triumph on Saturday. Following general impression that the team has been creating plenty of chances and scoring few, the coaching crew in the Super Eagles have been working on all members of the team to perfect shooting and scoring strategies. Keshi said he expects the team to create plenty of chances hence the need to put them away and make the return leg in Abidjan a mere formality. The Head Coach has also admonished players in the present Super Eagles setup to fight for their colleagues in the Glo Premier League so that more of them will be called up for national assignment. “In my days as a home based professional footballer, my colleagues from all over the country used to be proud of me because I represented them well. Do the same well and help restore the pride of the Nigerian based professional footballer. The son of a Nigerian diplomat, Hafis Kareem, 15, was confirmed dead by Police, Sunday morning, after being drowned at the New Mark Commons community pool in Rockville, Maryland, USA. It was gathered that Kareem and some other kids jumped over the fence to get into the pool area, late Saturday night. Hafis Kareem’s father was a diplomat at the Embassy of Nigeria, Washington DC and just recently got posted back to Abuja. His sister, Hamidat Kareem, doesn’t understand why he was in the water because he didn’t know how to swim. The whole situation doesn’t sit well with the family, who said the friends ran away after they called for help. According to Hamidat, “they are not really his friends, real friends would stay with you and be there for you. Mincy Neil, who has lived in the area for 27 years, said: “Kids do sneak in from time to time; we haven’t had any incidents since we put the new fence but apparently they got in that way. It’s a tragedy one family is now struggling to cope with. “He was just an amazing person, I am going to miss him so much,” Hamidat Kareem added. Montgomery County Police are said to still be investigating but he has since been buried in Virginia.